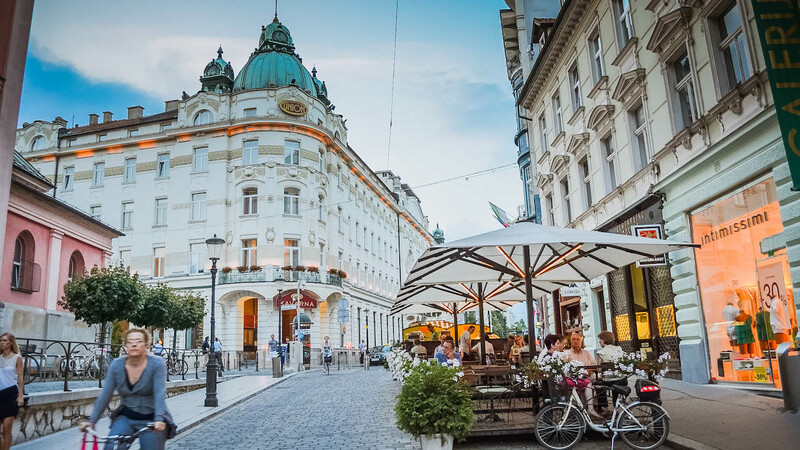 Nestled between the Adriatic Sea and the Julian Alps, surrounded by Italy to the west, Austria to the north and Hungary and Croatia to the east, Slovenia is one of the most picturesque tourist destinations in Europe. Between emerald green rivers and the pretty but tiny Adriatic coast, dotted by quaint little towns, the attractions in Slovenia are a must see for all tourists. It is the most well-known and visited among Slovenia’s peaks. Mount Triglav (2,864 meters) which is Slovenia’s highest peak is located in the national park bearing its name. Climbing the mountain is a rite of passage among local Slovenes. One can complete the ascent and descent in about 12 hours. It is recommended to climb with help of a local guide though very experienced climbers can undertake the adventure on their own. The Soča River flows through western Slovenia. It rises from the Julian Alps and flows into the Adriatic after flowing through Slovenia and Italy. Along the way, its emerald green waters are a major tourist draw. The turquoise blue waters of the Soča River are one of the best destinations for white water rafting in Europe. It begins in Bovec and makes its way down to the Adriatic Sea, offering views of the magnificent Alpine mountainside along the way. 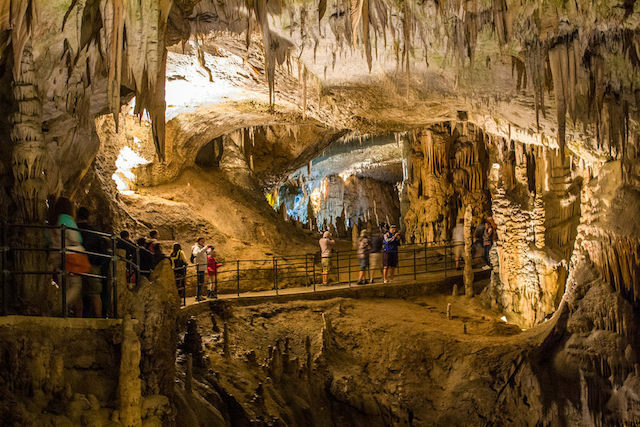 Postojna Cave is probably the most popular tourist destination in Slovenia. Magnificent caverns with formations of stalagmites and stalagmites are an unparalleled sight. There is a six-kilometer-long underground tour partly by train and rest on foot. The Vipava region is well known for its wineries. Vipava wines may not be well known internationally, but the unique hospitality and local scenery make it worth a day’s tour. Vipava valley also offers paragliding with the mesmerizing view of the Gulf of Trieste in the distance. Piran is a pretty coastal village on the shores of Adriatic. Walk up the Bell Tower built in 1608 and enjoy the wonderful scenery of the village and the Istrian coastline. The 46-meter tall tower has a bell from the 15th century which is one of the attractions in Slovenia. Watch the spectacular sunset over the Adriatic from the waterfront and admire the beauty of the peninsula of Izola. Ljubljana is the capital of Slovenia. Though quite small with a population of 300,000 yet it is undoubtedly a very interesting city to explore. Walking tours of the city are very popular among tourists. It can be completed in a few hours and is a perfect way to scout the city’s tourist spots. Visit the Ljubljana Castle located to the east of the Old Town. Walk up the gentle 375-meter tall hill or take the funicular rail. From the castle, you can see the breathtaking scenery of the countryside and the city below. The cafes of Ljubljana which are situated by the river make it a great spot for coffee lovers. Numerous cafes dot the riverside and offer something to satisfy every taste.